High levels of conflict can wreak families going through divorce and separation. Divorce can be stressful for many people and they may find it hard to cope. People react in various ways to different situations and this can depend on their personality or even their health. At this difficult time, you and your children can do without disputes that damage the current situation and the long term future. If you can focus on good communication skills and not let hard-to-control emotions hijack your circumstances. Everyone will be in better shape with less cost and time being taken up. In order to have a good, healthy relationship with someone, it is a good idea to love yourself and have respect for others. Many relationships break down for deeper reasons, when a person has underlying issues. Perhaps they are depressed and as a result, constantly bring the other person down. Individuals who find it difficult to cope in particular situations may over-react to divorce. They are likely to think negatively about the whole situation their life is in. They become defensive, blame others and even get aggressive with threatening behaviour. Once arguments start, it’s difficult for some individuals to let go of their stance and accept other views. 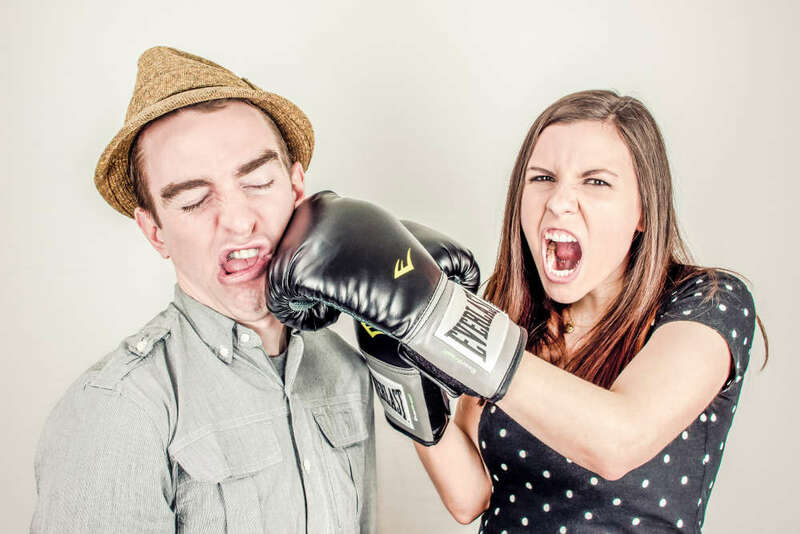 Individuals may have a tendency to repeat high conflict behaviour, even if they know it hasn’t got them anywhere in the past. The makeup of an individual evolves from their own past relationships and experiences. They may have had regular arguments with an ex-partner and now that their current relationship is breaking down. In this situation they may adopt the same behaviour to fight their corner. In the same way, they may have grown up with bickering parents, who separated when they were young, or have childhood memories that have a big influence on their adult behaviour. Communication is key to any relationship. Even individuals with high profile careers, who practice good communication on a daily basis, can react differently when their personal circumstances are affected. When it comes to conversations with their nearest and dearest, they may find that all the respect goes out the window as tempers flare. Individuals in high pressured jobs may also find it hard to cope with the emotional shift that a looming divorce can bring. A person’s state of mental health can be a big influence. If they are already dealing with stress, a traumatic event can do more damage. In the same way, your physical health is a key factor to coping with it. If you are not physically fit, your energy may be completely zero when dealing with a lot of issues. Every individual can learn to develop personal emotional coping methods for dealing with situations. It is your personal responsibility to take care of yourself as much as possible and seek positive solutions. Increasingly the dispute with someone can be costly for a number of reasons. Your health, wealth and future can be damaged by turning a bad relationship to worse. If you have children, then this makes the situation worse when it comes to their access to each parent. At Divorce Negotiator, we can work with both you and your spouse to come to a mutual agreement in your divorce. Work things out amicably and save time, money and avoid heightening conflict.